Apartment Sold at Full Asking Price of $750,000 in under two weeks after a bidding war. Our for sale by owner (FSBO) client purchased Hauseit’s List Your Home Online product to gain full exposure to unrepresented buyers and buyers’ brokers and list on MLS, OLR, StreetEasy, Realtor.com and a dozen other sites. Our client’s beautiful Brooklyn home sold at full asking price after only 3 weeks on the market via Hauseit’s listing service and custom property website. 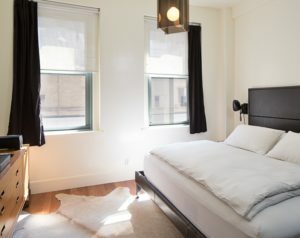 The listing was featured on Curbed NY’s ‘Six Digit Club’. 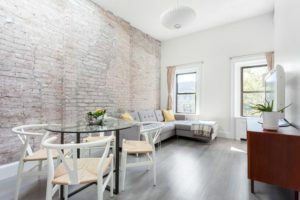 Our client’s beautiful 2-bedroom condo in Greenpoint sold in under a week after listing using Hauseit’s service for $50,000 over asking price. The final sale price was $1,050,000. Because of the quick sale and smooth close, the client was able to move out West to California without having to worry about his home sale. 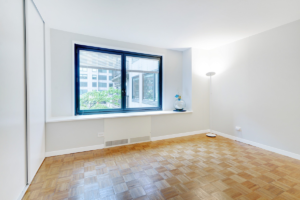 Kim’s beautiful and sunny 2-bedroom Bay Ridge Coop sold via Hauseit’s NYC Flat Fee MLS service after a short 5 weeks on the market during the peak of Winter. Kim’s success proves once again that selling FSBO isn’t just for Manhattan home sellers. 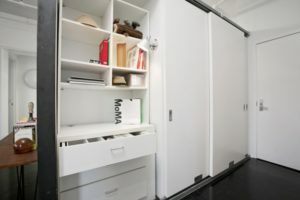 Hauseit’s For Sale by Owner method works across all of the NYC boroughs. Hauseit FSBO client found a buyer after the first open house, under two weeks on the market. 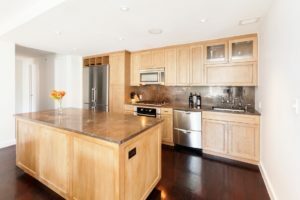 Our seller utilized Hauseit’s Professional Photography service along with the List Your Home Online product to maximize visibility and the first impression the listing had on potential buyers. Hauseit was born in NYC and knows the NYC FSBO market inside and out. Since our founding in late 2014, we’ve listed hundreds of millions of dollars worth of properties in the New York City market alone. We are proud to be the largest FSBO company in NYC by listings, deal experience and number of partner agents. We have helped NYC residents sell apartments by owner in the New York City boroughs of Manhattan, Brooklyn, Queens, Bronx and Staten Island ranging from $100,000 to $20,000,000 and more. We’ve since expanded to the Hudson Valley and Long Island and have helped our fellow New Yorkers in these areas save millions in broker commissions as well. Sellers in the Hudson Valley will have their property listed in the HGMLS as well as relevant local websites such as LoHud and relevant national websites such as Realtor.com. Sellers in Long Island will have their property listed in the Long Island MLS as well as all relevant local and national websites. You’ll never have to worry about not being listed in the correct MLS through Hauseit! Hauseit lists your home on the sites and databases which are actually relevant and used by NYC buyers and buyers’ agents who are in the market for a new property in the city. Whether you are looking to sell a co-op, condo or townhouse FSBO in Manhattan, Brooklyn, Bronx or Queens, we can help you sell your home by owner and save six percent in agent fees. Through our Agent Assisted FSBO listing service, we list your property on the most important websites and local New York City broker databases such as The New York Times, Realtor.com, StreetEasy, REBNY’s RLS Database, OLR (On-Line Residential) and dozens of other real estate search websites. This broad, comprehensive listing syndication is actually the same system used by NYC full service listing agents who charge 6% to their clients. We allow NYC FSBO sellers to level the playing field against traditional agents by giving you this same technology for zero percent commission. More specifically, your NYC FSBO listing will appear on REBNY’s RLS Database and all recipients of RLS data such as OLR (On-Line Residential – NYC Broker Database), Nestio (NYC Broker Database), RealtyMX (NYC Broker Database), RealPlus (NYC Broker Database) as well as brokerage specific databases such as Taxi and Limo. Our syndication also includes dozens of major real estate search websites such as Realtor.com, The NY Times, StreetEasy, Zillow, Trulia, Brownstoner, Agorafy, Homes.com and many more. We’ll upload your listing to all of these places all at once! Does selling For Sale By Owner make financial sense? Like most New York City apartment or townhouse homeowners, you don’t want to pay the average $120,000 (6% x $2 million average home value) in Realtor fees and commissions. You may have heard about FSBO (selling by owner without a broker) and the importance of competition in real estate from the US Department of Justice, but you are too busy with work to spend the hours required to figure out how to sell FSBO in NYC. Hauseit simplifies the NYC FSBO process and helps you sell by owner without a full commission broker for a low, flat fee of a few hundred dollars instead of a few hundred thousand dollars. We want you to save that average 6% NYC broker’s commission and put it towards a better use. Selling FSBO in NYC ensures that you maximize your profit when selling. By cutting out the typical NYC 6% agent commission, you can significantly reduce your closing costs which can run up to 10% of your sale price. You can save up to all 6% in typical real estate agent commissions by listing with an Agent Assisted FSBO in NYC. 6% on the average NYC home worth $2 million is equivalent to $120,000! 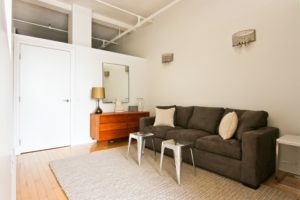 Hauseit’s NYC Flat Fee MLS listing package lists your home on the REBNY RLS broker database, The New York Times, Realtor.com, StreetEasy, Zillow, Trulia, Brownstoner, Homes.com and many more popular property websites for a small, one-time flat fee. Our NYC FSBO listing service is specifically designed for the New York City market. As NYC’s largest FSBO and buyer closing credit company, we are the most trusted Flat Fee RLS Listing service in New York City. Not convinced? Google us to read our hundreds of positive reviews. Will I experience reduced broker harassment? 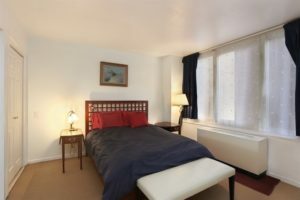 The best part about working with Hauseit to list FSBO in NYC is that your entry only listing will appear as a traditional full-service listing. This means that you won’t be easily identifiable as a FSBO seller, so NYC realtors and brokers won’t cold call you to try and get you to pay a full listing commission. Will I have control of my sale process? List your home on the RLS and dozens of popular websites at once! List Now and submit your property information online in order to get started! Don’t worry, your property isn’t uploaded the moment you click submit. We’re not that hands off when it comes to your home! You can always make updates to your listing on our website or email us a link later to your photographs if you need more time to gather everything. Remember to complete your purchase of the List Your Home Online product after you’ve submitted your listing details! We’ll then send you a listing agreement that you can conveniently e-sign with your smartphone. You can cancel the listing agreement anytime and you will not owe our partner listing broker anything more than the flat fee which you’ve already paid. After the listing agreement is signed, please allow two business days for your property listing to fully syndicate to all real estate portals. Your home will appear as a traditional listing by a brand name REBNY Member Firm and you will receive all broker and buyer inquiries. Just remember when dealing with buyers’ agents in NYC that no one needs to know you haven’t paid full commission! What if the best bid comes from an agent representing a buyer? Pay only what you chose to offer to buyers’ agents in RLS. You are free to sell to anyone you choose or no one at all, your call. What are the next steps for a seller in NYC? Use our flat fee Agent Assisted FSBO listing service to advertise your home everywhere online to unrepresented buyers as well as on the NYC broker databases used by agents representing buyers. You can submit your listing details online in under 10 minutes. Unlike that of our competition, our NYC FSBO listing service ensures that your listing gets on the sites that actually matter in NYC, like the NY Times, StreetEasy, REBNY’s RLS Broker Database, OLR (On-Line Residential NYC Broker Database), Nestio (NYC Broker Database), RealtyMX (NYC Broker Database), RealPlus (NYC Broker Database), Brownstoner, Zillow, Trulia, Realtor.com, Agorafy and dozens more. As soon as your listing goes live in 24-48 hours, you can expect to begin receiving inquiries from unrepresented buyers as well as buyers’ agents. Our partner brokers will copy you on emails and even send you transcripts of voicemails and text messages so that you can drive the sale process. As an Agent Assisted FSBO seller, it will be your responsibility to be responsive to inquiries, schedule and attend showings and open houses and run the overall sale. Should you need to make any updates to your listing during the FSBO sale process, you can request them here. Receive and review offers, negotiate with buyers and accept an offer. Work with a real estate attorney to prepare and execute your contract of sale. Help your buyer submit the coop board package and facilitate your property’s appraisal. Close your sale, hand over your keys and get paid without giving away 6% of your sale proceeds to a broker! All of your questions can be answered by watching our detailed Agent Assisted FSBO Training Videos and checking out the Hauseit customer support forum. If you still can’t find an answer to your question, please post your question on our forum and someone from the team or real estate community will get back to you! Yes we do! Sellers in New York can save thousands in commission by listing with a full service REBNY Member listing agent in New York City for just 1% seller’s broker commission. Why should you have to pay 6% in broker fees just because you don’t have the time or motivation to sell FSBO in NYC? Our 1% full service listing option is identical in every way to what you’d expect if you paid 6%. The only difference is the price. Why overpay?